In his recently published book Fire and Ashes, former Liberal leader Michael Ignatieff says he should have laughed it off when three party operatives he called the "men in black" invited him to come back to Canada and run for office. In his recently published book Fire and Ashes, former Liberal leader Michael Ignatieff says he should have laughed it off when three party operatives he called the "men in black" visited him at Harvard, and urged him to come back to Canada and run for office. "I hadn't lived in the country for more than thirty years, I'd been a fellow at King's College, Cambridge, a freelance writer in Britain and now a professor at Harvard," he said. "The idea was preposterous. Who did I think I was?" In a interview on Friday with guest host Rosemary Barton on CBC News Network's Power & Politics, Ignatieff said he should have asked "real questions about the state of the party," because it had been "bleeding votes." He said he should have inquired how any seats could be won "west of Lake Superior." But the former Liberal leader admitted he was caught up in the moment. "That's what hubris is," he said, "overestimating our abilities." In his book, Ignatieff tries to explain why he responded so readily to the appeal from former party president Alfred Apps, his former chief of staff Ian Davey and Liberal back-roomer Dan Brock. He told Barton the idea of entering politics was irresistible because Canada "was my home, and my family had a tradition of public service." In his book Ignatieff describes politics as, "the big arena, the place where you lived a life of significance, where you lived up to the family imperatives. It was in the blood." That sense of destiny wasn't the only reason he got into politics, but he did learn it's the wrong reason. There is no mention of Justin Trudeau in Ignatieff's book. But, to Barton, he noted the party's current leader has "politics in his veins." "He saw [Ottawa] in a way that I never did," said Ignatieff, referring to Trudeau's upbringing at 24 Sussex. He added, "I don't want to give a guy advice who has higher poll numbers than I ever had." Much of the book is about Ignatieff's delight in learning retail politics, the ground-work of getting outside Parliament Hill and meeting people at flap-jack breakfasts and legion halls. "By the time the May 2011 election came up, I loved every minute of it," he told Barton. "I had a great time." The book does not divulge many back-room secrets about how the Liberal Party was reduced to its lowest numbers in its history under Ignatieff. He lays no blame and doesn't tear apart the Liberal game plan. But the leadership debate "could have gone better" for him, he told Barton, and he spoke of the "extraordinary factor of Jack Layton." The late NDP leader "ceased being a politician. He was just Jack," Ignatieff said. "I paid some price for that," he admitted. In Fire and Ashes Ignatieff is blunt that there was no love is lost between him and the party leaders who came before and after him. Stéphane Dion, he says, who beat Ignatieff in the 2006 leadership, reluctantly made him deputy leader, and then "did his level best to keep me out of the loop." Bob Rae, his college roommate and political rival, seems, at least in the book, permanently estranged, a process that began with Rae's angry outburst at the news of Ignatieff entering the Liberal political arena, and ending when Ignatieff tried to persuade Rae to support him after the first ballot in the 2006 leadership. 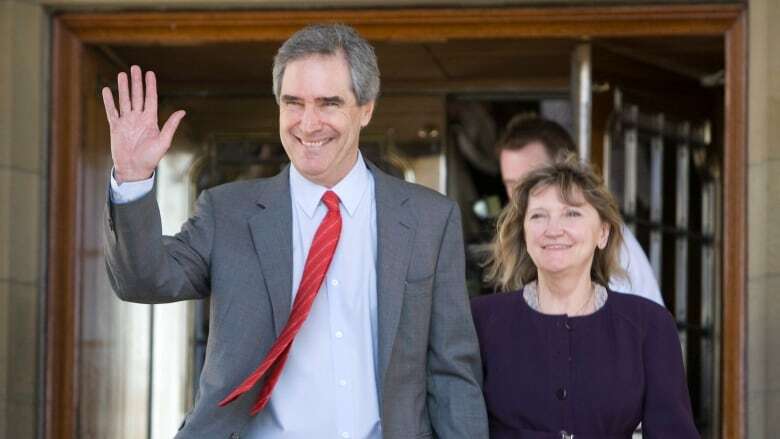 Rae's brother barred him physically from approaching Rae, Ignatieff reports, paving the way for a Dion win. Even now, Ignatieff doesn't believe "competing ambitions can ever be reconciled, even between friends." But he told Barton he and Rae are still in touch, and he didn't write the book to settle scores with his former rival. "I know this guy better than almost anyone in the world, except his wife," Ignatieff said. "He would have made a fantastic foreign minister, and prime minister." In an interview with host Evan Solomon, airing on CBC Radio's The House Saturday morning, Ignatieff was asked about a passage in his book where he suggests Canadians should have a debate about the monarchy when the Queen dies. Ignatieff told Solomon that, while he has huge respect for the Queen, he wonders whether Canadians should unquestioningly hand over the position of "ruler" to "Will and the other prince." He said he was bothered by the oath he had to swear when he became a member of Parliament. "I wanted to swear I'd be faithful to the Canadian Constitution and the people who put it in here. Instead, you swear an oath to the Queen, her heirs and successors … Let's have a Canadian oath." Ignatieff is currently a professor at the University of Toronto. He wrote the book for young people, he told Barton. "If you go into politics, here's what you have to know. But [the book] concludes, you have to go in." On The House he said, after speaking in a room full of people at a political event, he will sometimes think, "There was a kid in that audience that was thinking, 'He didn't get there, but I will.' And I really did write the book for that person, maybe a young woman." Ignatieff added, "I now feel freer than I've felt in maybe 10 years." Asked if he's considering running again in 2015, he said, "I'll be a Liberal till I die," but, "when you're done, you're done."